On a Paleo diet or a primal diet but still want to indulge in rolled sugar cookies for Christmas? No, problem. This recipe for Paleo-Primal rolled sugar cookies is gluten-free, grain-free, dairy-free, and refined sugar-free. There is also a recipe for Paelo-Primal friendly icing. NOTE: make sure to use a very fine nut flour, this recipe won’t work with a coarse nut flour. DIRECTIONS—in large bowl combine very finely ground hazelnut or almond flour, salt, and baking soda. In a separate bowl, whisk egg, then whisk in honey, oil, milk and vanilla. Mix well then add wet ingredients to dry ingredients and mix well. Gather dough into a ball, place in clean bowl, cover and refrigerate 1 hour, or until thoroughly chilled. Preheat oven to 350ºF. Place pie crust rolling mat [or flexible cutting board] or sheet of parchment paper on counter, dust with arrowroot powder, add chilled dough ball in center, dust with arrowroot powder, and flatten it out enough to start rolling it. Add additional arrowroot powder on top of flattened dough, cover with another sheet of parchment paper and roll out to 1/4 to 1/2 inch thick. 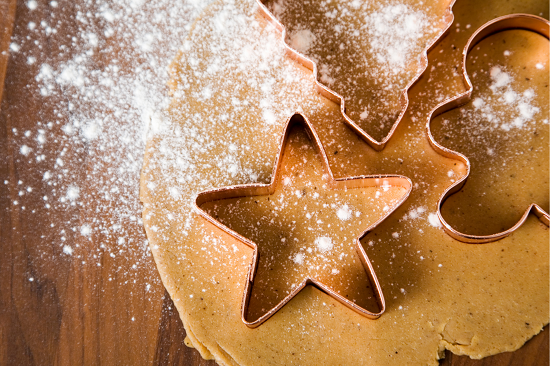 Use cookie cutters in desired shapes to cut dough. 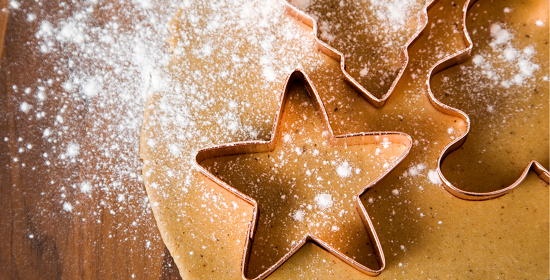 Wipe cookie cutters and dust with arrowroot powder between cuts. Put on parchment lined baking sheet about 1 inch apart. Bake 10 to 15 minutes or until just lightly browned on the bottom. Remove from oven transfer to baking rack to cool. In the meantime, gather unused dough and refrigerate until chilled. Repeat process until all dough is used. Decorate cooled cookies by adding frosting to piping bag with small tip and piping designs on top of cookies. Or frost cookies and add sprinkles. NOTE: if dough is hard to work with, roll dough out on pie crust mat or flexible cutting board, then place in freezer for a few minutes before cutting out cookie shapes. DIRECTIONS—mix 2 tablespoons coconut milk and arrowroot powder to form a paste, add to saucepan. Slowly whisk in remaining coconut milk to prevent lumps. Whisk in coconut oil and honey. Warm over low heat, whisking until mixture thickens. Cool, then blend in blender until smooth & creamy. Refrigerate 1 hour before using. If frosting gets too thick, add a little milk to thin.